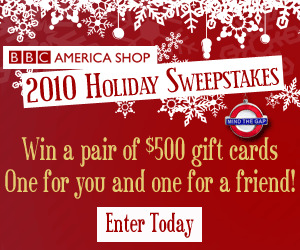 This Holiday Season, The BBC America Shop invites you to discover the perfect Holiday gifts. 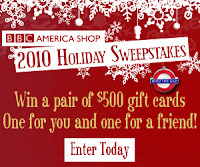 Simply click to visit the site:http://bit.ly/BBCHoliday-2010. There are so many great gifts to choose from, including all of the ones featured in the great prize package below! When it comes to snobbery, Hyacinth Bucket is in a class of her own! 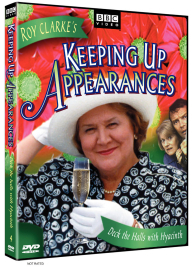 Tireless social climber Hyacinth Bucket (pronounced ‘Bouquet,’ of course!) puts her best foot forward in this high-class comedy’s favorite specials. The holidays drive some store workers to do some really funny things. That’s why there’s plenty of laughter in store as the unbelievably quirky Grace Brothers sales clerks make merry in four classic comic Christmas specials presented uncut and lovingly restored. First she begged Granny and Grandpa for a scooter, but now Lola has decided that she wants a pair of real, actual ice skates. Everyone is dubious. Charlie reminds her she felt the same about her old yo-yo and Dad warns her that he doesn't want to find the ice skates in the bottom of her closet. 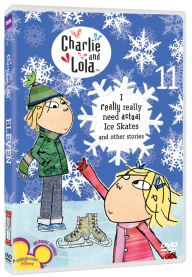 But Lola is adamant, she needs actual ice skates because they are sparkly and white, and when she gets them, she will be the best ice skaterer in the whole school. 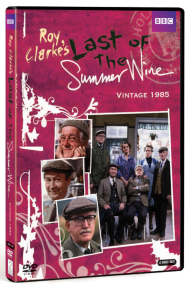 The world's longest-running sitcom, from Roy Clarke (Keeping Up Appearances), is back with more adventures featuring everyone's favorite senior delinquents! Compo, Clegg and Foggy attempt to settle a question involving Nora's feet, to keep Britain tidy with the Dewhirst Campaign for a Cleaner Countryside, and to show Digby's donkey who's boss. Filmed on location in the Yorkshire Dales. Follow Robbie through a pair of hilarious and hip animated adventures in this multi-award-winning animation that the whole family will love. Spot the perfect holiday gift! 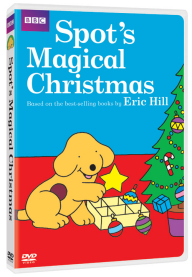 The delightful star of Eric Hill's beloved children's books joins his friends as they embark on a special magical ride to help find Santa's special Christmas sleigh-before it's too late. As a reward for his help, Spot finds a big surprise under the tree on Christmas morning! Bonus episode: Spot's Winter Sports, featuring Haley Joel Osment (The Sixth Sense), plus two games. As seen on Playhouse Disney. This giveaway will run until December 14th at 11:59pm and is open only to residents if the USA. Each entry must be made by separate comment. 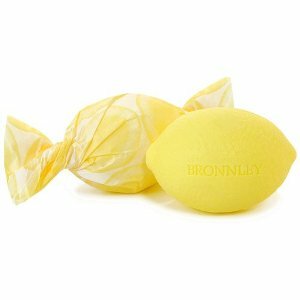 http://tinyurl.com/2wyw7pg #giveaway ends 12/14 "